This trip is like a good cocktail: mixed with tradition, the magic of the Slovak countryside, charming as wine and it is served with great passion. Satisfaction guaranteed! RED STONE CASTLE We will uncover the legend of the Red Stone castle, which was built in the 13th Century and was part of the border system of fortifications, starting from Bratislava up to Žilina. We will guide you through the salons, dining rooms, knight’s hall and courtyard, which were the witnesses of many interesting scenes. You will see the rich interior furnishings from the Renaissance to the Secession. The unrepeatable magic of this place situated in the Carpathian forests are highlighted by peacocks in the castle garden. 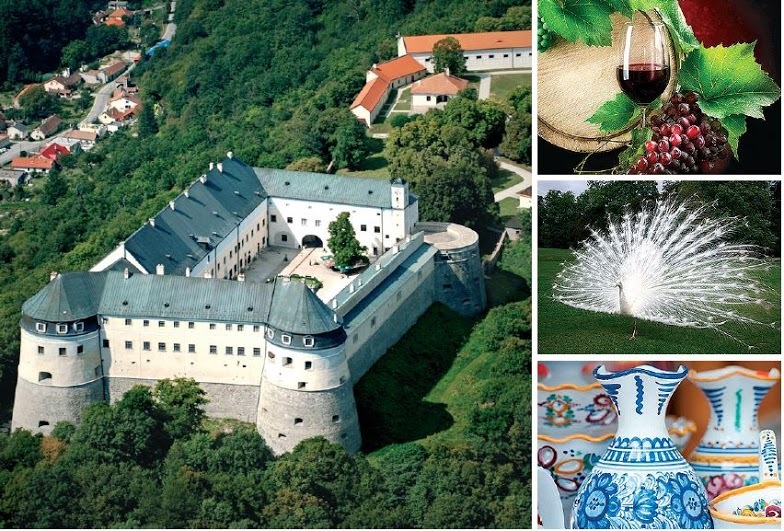 CARPATHIAN WINE TASTING We will guide you through the picturesque towns of Pezinok, Modra and Svätý Jur, which became free royal towns thanks to their high quality wine production. Our wines were not only popular with the local aristocracy – they receive international awards today as well. Come and taste them! „MAJOLIKA“ TRADITIONAL HAND MADE FOLK POTTERY Take a look into the handicraft manufactory to see how these unique products, with typical painting of this region, are made. You will surely wish to create your own masterpiece, or buy a piece of this Slovak traditional pottery to commemorate this unrepeatable experience. GOURMET SPECIALITIES After this unforgettable day you will still have enough time to taste grilled ribs, chicken wings or other delicacies prepared on the grill. Just let us know, and your trip can finish up in a restaurant like this.